Welcome to part one of the four-part series of Dreamers and Doers! This series is a compilation of the best of the best episodes where you will hear the highlights, great takeaways, and the meat of the previous episodes. 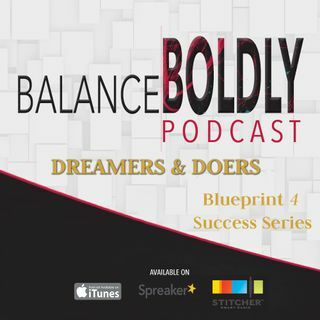 This episode is perfect for all of you brave women and bold men that have a dream in your head to take the steps necessary to believe in it, plan for it, do it, then preserve your success so you can take the next step to conquer an even bigger dream. We hear stories on why ... See More it’s important to prepare for the inevitable, upcoming challenges in our future and why you should write notes to your future self. We also learn about the relationship between action and intention and the effect of instant gratification on today’s generation’s level of patience regarding their life dream.